Ensconce yourself in Tuscan charm. Visit San Gimignano to discover the historic architecture of northern Italy, while enjoying some of the region's best white wine. Walk the brick pavement of the Piazza della Cisterna as you nibble on some tapas and take in the bustle of the communal space. 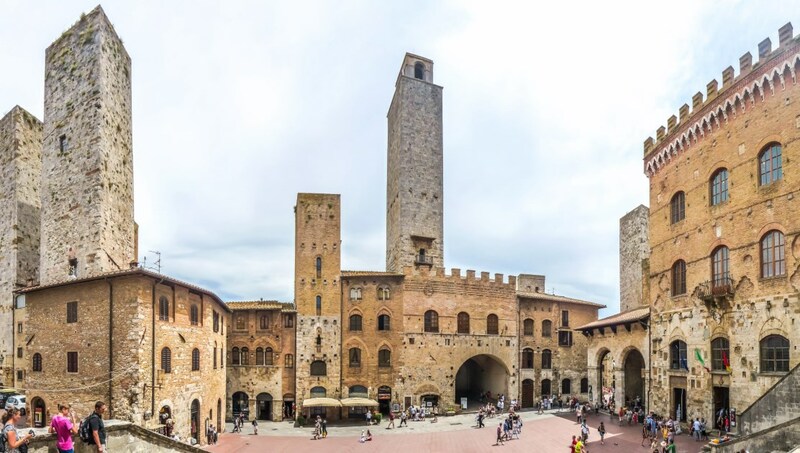 The city's many squares are great places to feel the energy of San Gimignano. 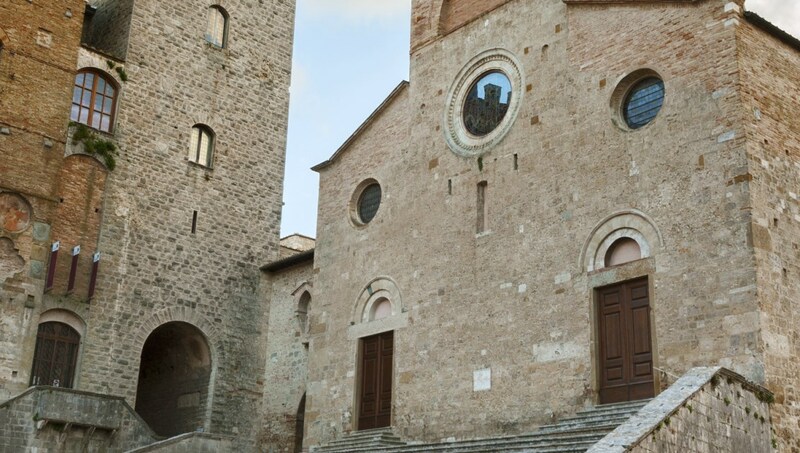 The Tuscan Collegiate Church of San Gimignano is done in a typical Roman style and enjoys the ranking of a Minor Basilica. The impressive interiors feature many frescos you don't want to miss. 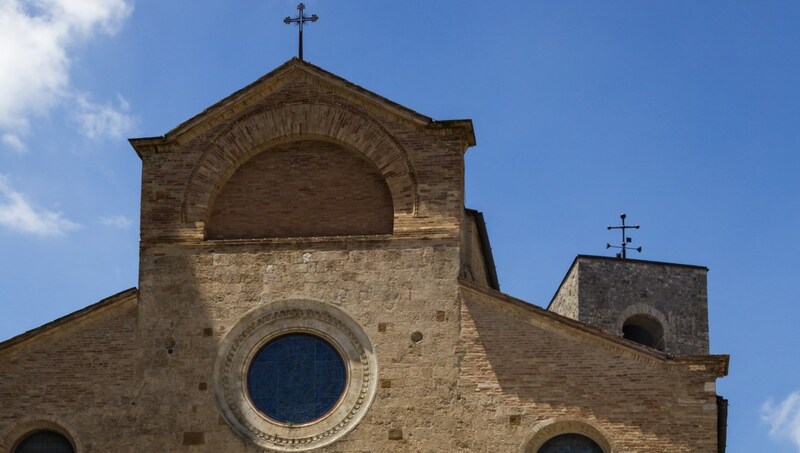 A serene and well-preserved example of Roman architecture, the Sant'Agostino Church in San Gimignano was built in the 13th century. Enjoy the beautiful frescos once you're inside. Since the 13th century, the Palazzo Comunale has housed the town hall and civic seat of San Gimignano. Stroll through the building's courtyards and lose yourself amid the imposing architecture. An early Renaissance chapel, the Santa Fina Chapel features stunning Ghirlandaio frescoes in its arched recesses. A beautiful and classic Tuscan chapel, the church is a tranquil stop on any tour of San Gimignano. The Piazza della Erbe is a popular city square. 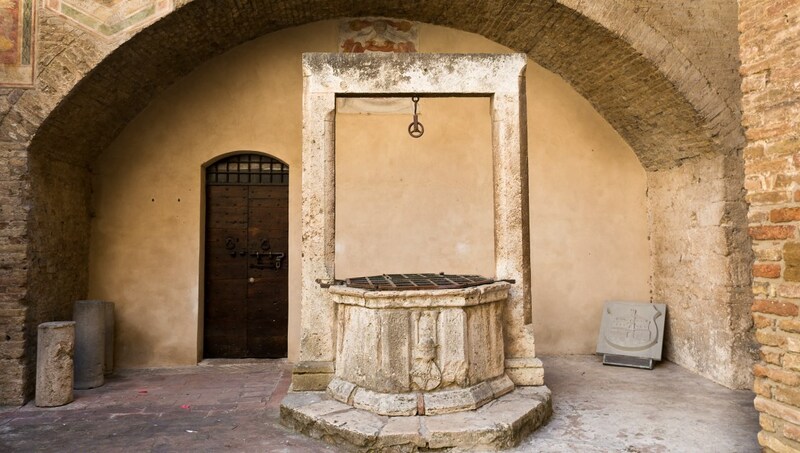 Traditionally piazzas have been the gathering grounds of locals. Take a turn around the square and enjoy the buzz of the crowds. 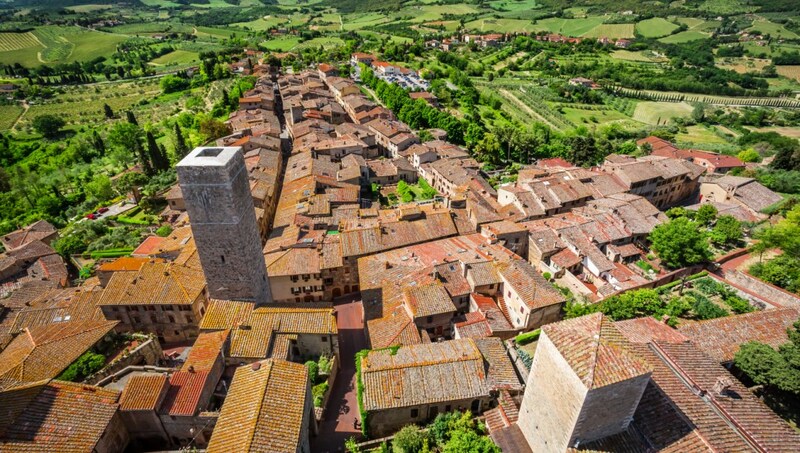 How to get around San Gimignano? The small city of San Gimignano is absolutely best traversed on foot. You can also take the electric shuttle bus or a taxi. Getting into the city from other parts of Tuscany is best done by bus. What to eat in San Gimignano? While you're staying in San Gimignano we recommend sampling Italian pasta. Twirl your tongue around some tagliatelli or bite into some cheesy ravioli. For dessert, enjoy heaps of different flavors of gelato from a local gelateria. 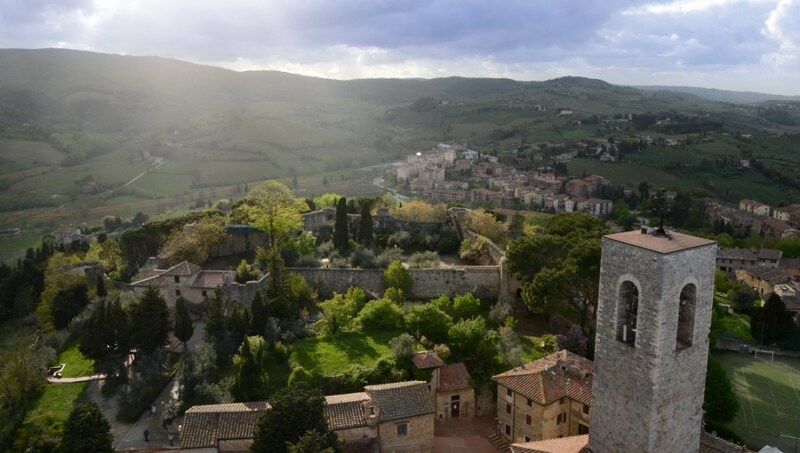 The best time to visit San Gimignano is when the weather is pleasant, which is from May to October. You'll find the warmest temperatures in July and August, as well as peak time for tourists.